Climate information can be a powerful tool in helping rural communities adapt to climate risk. But not all information is created equal, nor is access to information equal. 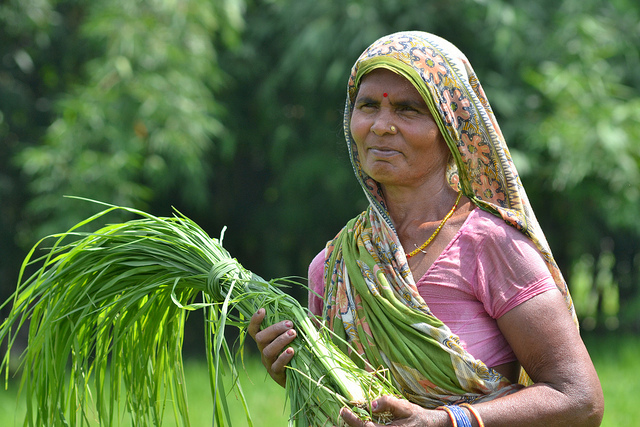 To better understand the value of climate information in these communities, researchers started out by asking: does climate information matter to women farmers? Enumerator Question (Q): What kinds of information do you want and need to support your agricultural decisions when the climate is unpredictable? Focus Group Participant’s Answer (A): We would be happy to receive information about what to plant and when to plant, when the rainfall will start. Even seeds, we don’t have information about seeds. A: Well, no. But no, women cannot go to get this information. Men don’t “stop” us, but what will other people think when we are seen talking to that man? So, we don’t go. The above exchange gives a glimpse into the rich discussions at a recent focus group interview with women farmers in Faisalwadi village, Andhra Pradesh, India where the CGIAR Research Program on Climate Change, Agriculture and Food Security (CCAFS) is testing a new survey tool to uncover how climate information services affect the livelihoods of smallholder farmers. How well do climate services work for farmers? CCAFS, working with CGIAR Centers and other partners, has been engaging in projects to deliver climate services to smallholder farmers across Africa and South Asia. CCAFS research has shown that with the right training, climate information services can help farmers better manage the risks that a variable and changing climate brings to their livelihoods. But, how do we measure the value of these climate services to the farmers they are intended to support? Are these services reaching all farmers, including the most vulnerable and marginalized within farming communities, such as women or youth? As the interview excerpt above demonstrates, getting climate services to smallholder farmers, especially women, continues to be challenging. The drive to develop a tool to assess the concrete value of climate services for farmers grew out of an expert meeting jointly hosted by CCAFS, the International Crops Research Institute for the Semi-Arid Tropics, the United States Agency for International Development, the Climate Services Partnership and Senegal’s Meteorological Agency (ANACIM) back in May 2013. At that meeting, experts on assessment laid out the challenge: developing a tool to evaluate how well climate services work for farmers that can be used across all project sites yet is also sensitive to the local contexts and cultures that help shape farmer decision-making. In 2013, ICRISAT, CCAFS’ lead center on climate services work, began solving this riddle by involving ICRISAT’s gender experts and impact assessment office. CCAFS’ new methodology for measuring the impact of climate services starts at the ground level. Initially, key community leaders are interviewed to understand the local context for decision-making in agriculture. Focus group discussions for separate groups of men and women and an individual household survey then look to understand how farmers use information to overcome climate challenges to farming in a particular place. For example, farmers might rely on traditional forecasting methods to predict how the weather will behave over a season that could be complemented by scientific forecasting. A focus group discussion with farmers to assess the impact of climate information services in Malem village, Kaffrine, Senegal. Photo: A Davis. These ‘pre-assessment’ discussions help researchers understand factors that support or constrain the use of climate information services in a community, and inform how best to tailor available climate information to serve the needs of farmers. These initial discussions also help project developers develop an ‘impact pathway’—a strategy that shows how to get from research outputs like climate forecasts to real world gains for farmers—for projects that connect farmers with climate information services. Charting out an impact pathway before a project starts lets researchers measure progress along the way, and readjust if the project gets off course from its original goals. Based on these results, researchers design surveys to measure how information is used currently (at the ‘baseline’), how this changes over time with the provision of climate advisories through a climate services project (‘monitoring’), and how all this adds up to impact farmer decision making and ultimately, how well they make a living from farming (‘evaluation’). In farming communities, the use of climate services is shaped by local contexts, cultural norms, and gender roles. 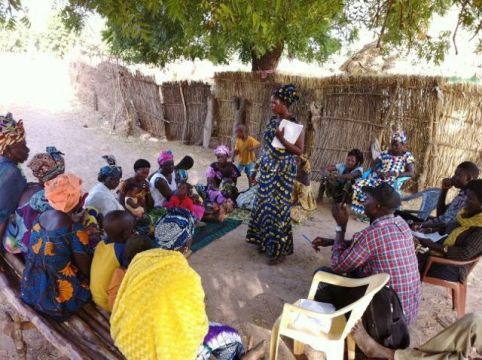 The toolkit not only localizes tools to evaluate project success for particular regions, but also delivers valuable information to aid climate service providers in creating locally-specific and gender responsive climate services and agro-advisory information. The toolkit also includes a strong gender component so evaluators can determine if, how, and why women are or are not receiving and using climate services. We have also incorporated a way for evaluators to understand the similarities and differences between men and women’s decision-making capacities as well as their access to information and knowledge networks. This combination of information will shed light on behavior changes that farmers need to adapt to a changing climate. The Tableau Meteo- Tomorrow’s Forecast: The weather bulletin board posted near the village market is a key vehicle through which climate information is shared in Djoly Village, Kaffrine, Senegal. Photo: A. Davis. For the past few months, we have field tested and refined the initial survey tool in sites across Africa and South Asia including in the CCAFS site of Nyando (Kenya), in Faisalwadi village near ICRISAT’s headquarters in Patancheru (India); and most recently, in Kaffrine, Senegal. 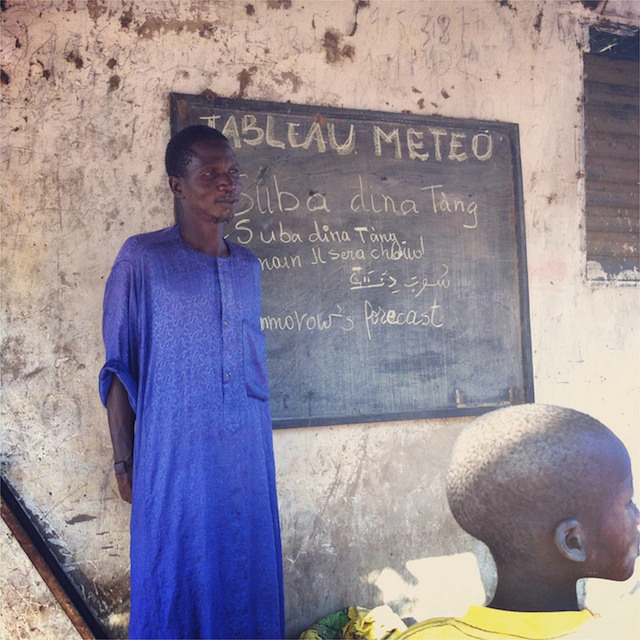 At each site, we worked with local teams of enumerators to translate the surveys into local languages and to create a lexicon of commonly used climate terms and phrases in Luo, Telugu and Wolof. Additionally, we worked with local teams to modify questions and survey formats so they can be easily implemented and understood by local partners and participants in multiple sites. In Nyando, Kenya, we worked with CCAFS Kenya and the World Agroforestry Center (ICRAF). The team conducted pre-assessment data collection in November, the results of which we are using to inform a Nyando-specific baseline questionnaire to be implemented in February 2014. Final changes are in progress, but CCAFS’s proposed climate services evaluation toolkit will be distributed soon, so keep an eye out. We will also be publishing case studies and community profiles from the three trial sites along with a detailed description of the toolkit’s development process for CCAFS and journals in the coming months. This framework will hopefully help evaluators and project designers determine if, how, when and under which conditions climate services are impacting farmers’ key livelihood decisions during their cropping season. The framework will also illuminate how climate services are impacting farming practices under uncertain climate conditions so that farmers can improve local management of climate-related risks at the farm-level.